Hawaii’s Polynesian Cultural Center — located in Laie, Oahu, about an hour’s scenic drive from Waikiki — is the top paid Hawaii attraction and a “must see” Hawaii activity. PCC is celebrating their 50th Anniversary this month so we decided to check out the shows and partake in the many kid friendly activities. For the kids there are special keiki-oriented Ohana Adventure activities that are planned throughout the day, including activities like Hawaiian hula lessons, Tongan shuffleboard, and Tahitian fishing. Kids can even get a parent-approved Marquesas cultural tattoo. 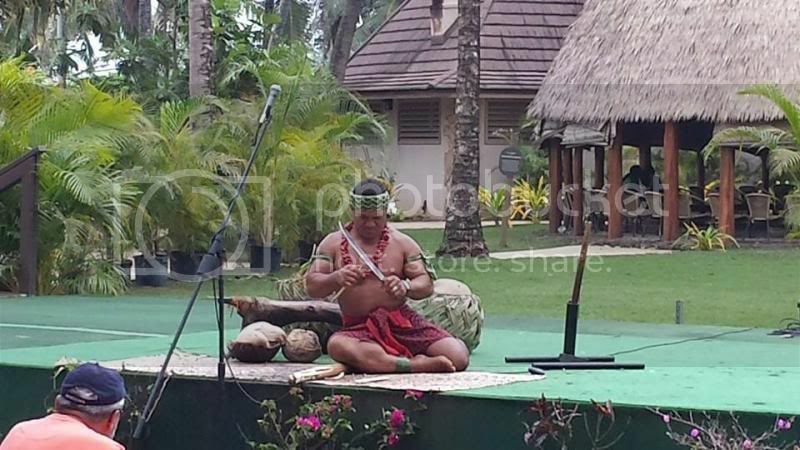 Parents can try their hand at spear throwing, fire walking, tiki carving, fire knife dancing, and coconut husking. 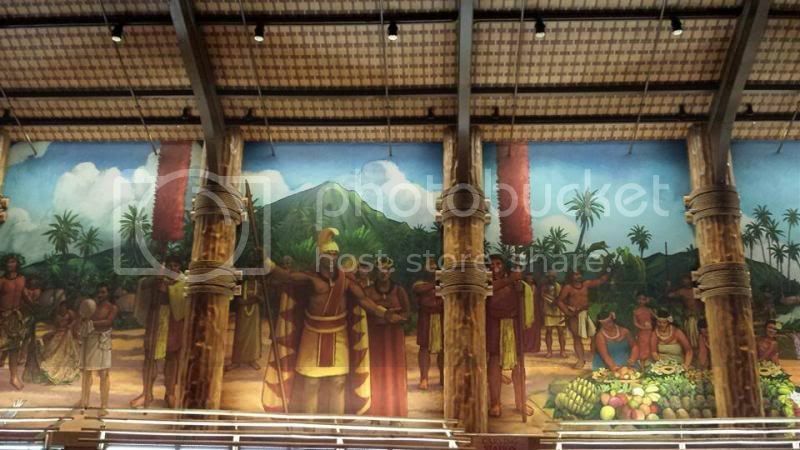 The PCC features the people and islands of Hawaii, Samoa, Aotearoa (Maori New Zealand), Fiji, the Marquesas, Tahiti, and Tonga; as well as a Rapa Nui exhibit and an 1850s-era mission complex. 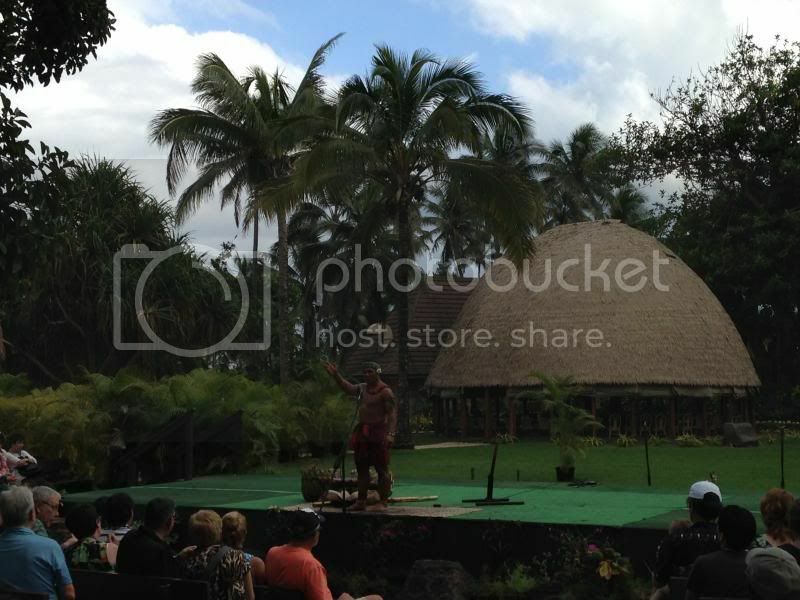 We decided to check out the Samoan Island first where we watched traditional method of making fire, coconut milk extracting, and coconut tree climbing. Our charismatic demonstrator told the curious onlookers his interesting success story. He was recruited by PCC from Samoa, obtained his Bachelor Arts in Fine Arts from Brickam University with a paid scholarship, and serves throughout the world as an ambassador representing his culture, art, and performances. 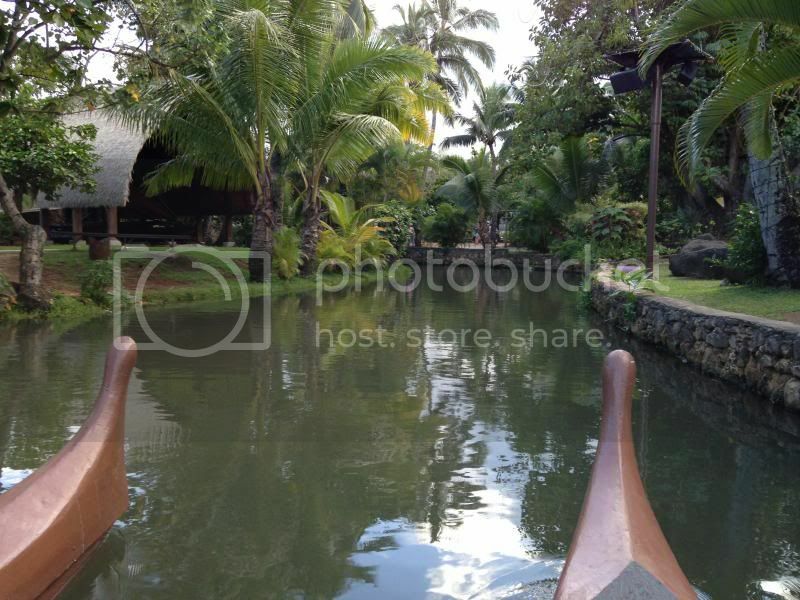 Canoe rides are also available as a convenient way to move around and explore the grounds. They also provide your feet and legs a well-deserved break. A paddling guide leads you through the lagoon as you pass native villages. 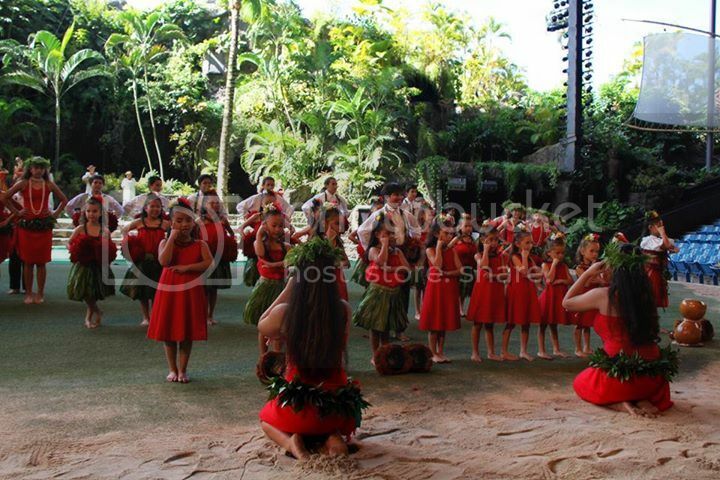 After exploring the villages and enjoying the activities, we headed to the main stage area where we were treated to a special hula performance with Keiki from local Halau's or (Hula School) . After the performance, we headed to the The Island Buffet for dinner where they served Hawaiian, Asian and mainland entrees, buffet style. 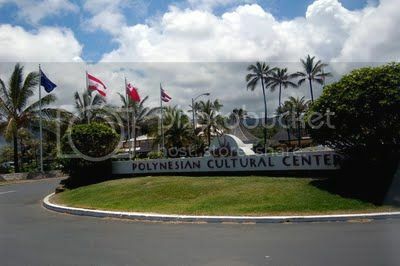 PCC also offers other dinning options to include the Alihi Island Luau, Samoa Island Buffet, and their Seafood Buffet. After the sun set and the family finished feasting on delicious Hawaiian food, we went to watch an unforgettable show called "Ha Breath of Life." The show is spectacle of over a hundred performers from across the Pacific, drums, dance, special effects, a fire spewing volcano and an amazing fire knife performance. It was not permitted for guests to take video or pictures, so I put the preview to the show above from You Tube. The kids loved the performance and kept asking when we could go back to watch it again. The PCC is located on the North Shore and takes about 1 hour to get to from Waikiki. If you have a rental car , the address is 55-370 Kamehameha Hwy Laie, HI 96762. I recommend that your family make it an all day event, because there are over 42 acres of informative history, activities, and culture to learn about. The link below is the best deal we have found on passes. 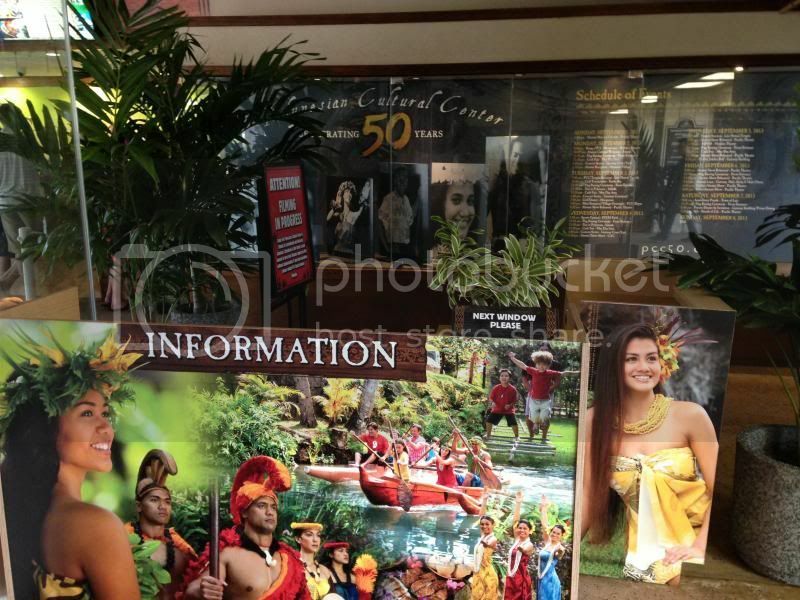 Polynesian Cultural Center Packages - CLICK HERE! I just want to offer you a big thumbs up for your great info you have right here on this post. I'll be coming back to your web site for more soon.